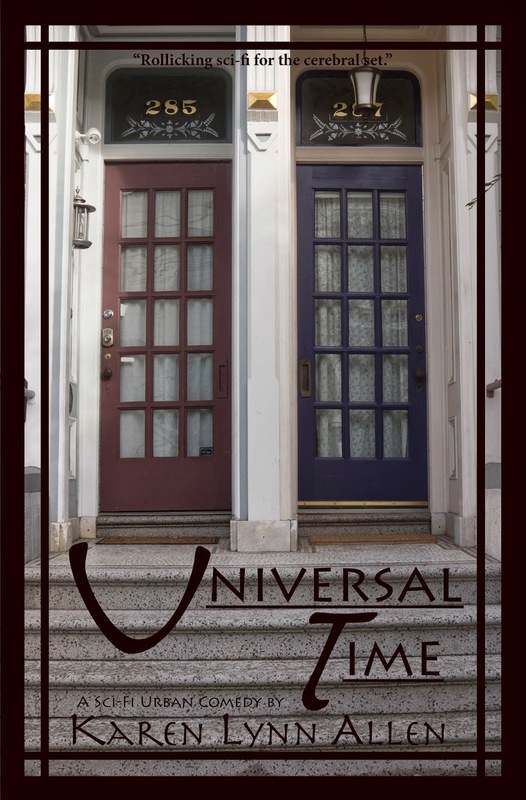 If you're a Kindle reader, Universal Time, is now available for pre-order. Release date is March 6th. Paperback edition should be out that date as well, and can be ordered then from any bookstore, all on-line booksellers, etc. Yes, Atraxis might be an intergalactic conflict mediator. Yes, he might come from an incredibly advanced society whose language was music; yes, he might travel across the universe in minutes and turn his skin blue at will. But none of this meant she had time to go gallivanting to other galaxies with him. Nor did she want to marry him and have his (blue) child. And now her former sister-in-law was dating Atraxis’s former brother-in-law (this could get ugly), her daughter was having ADD problems at school, and her ex-husband was dropping his baby off for her to watch so that he could go antiquing with his new wife. Yes, the universe might be knocking at her door, but she had no time to answer. Universal Time—a sci-fi urban comedy that will transport you across the universe and back again.